If you’re still waiting for your tax returns (or are wondering what those are) you can still answer the needs of your inner compulsive shopper. 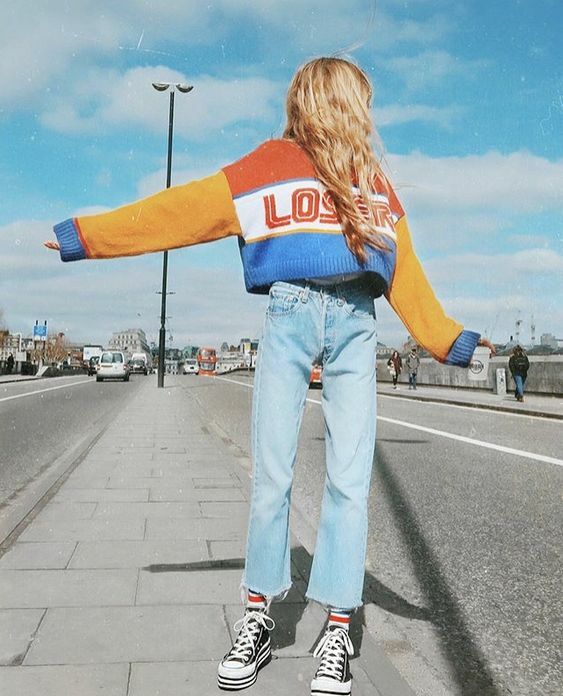 Take a look at our favorite tomboy fashion finds hailing from a vintage store near you. Tops and bottoms hailing from the 80s and 90s in scholastic colors liven up your look for pennies on the dollar. Recently back from an extended trip to Paris, we noticed the coolest girls wearing long trenches and high-water pants. 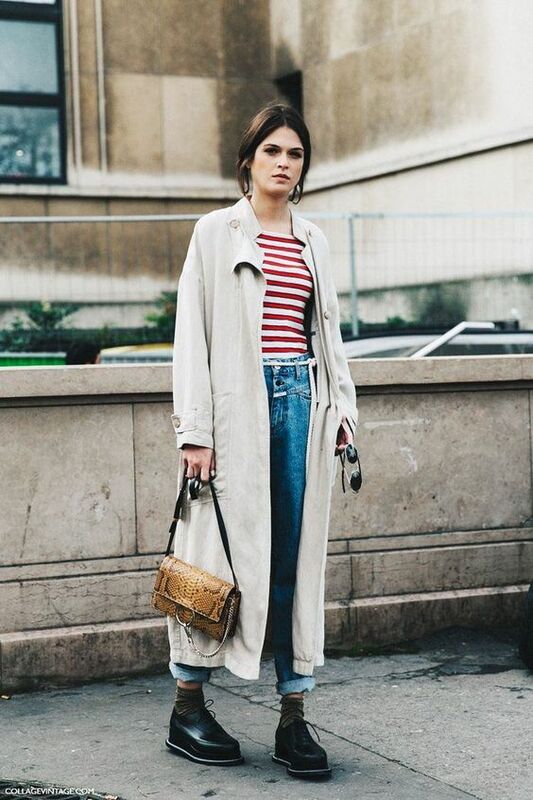 The pull of tomboy fashion is the effortlessness in which these ladies pulled together a mix of the latest trends with vintage classics. Converse are the shoe of choice and hair is au natural (because the weather just won’t allow much else). Think tucked-in tops, high-waist jeans or shorts, and a rolled-up hem. Sometimes the best tomboy fashion comes from, well, boys. 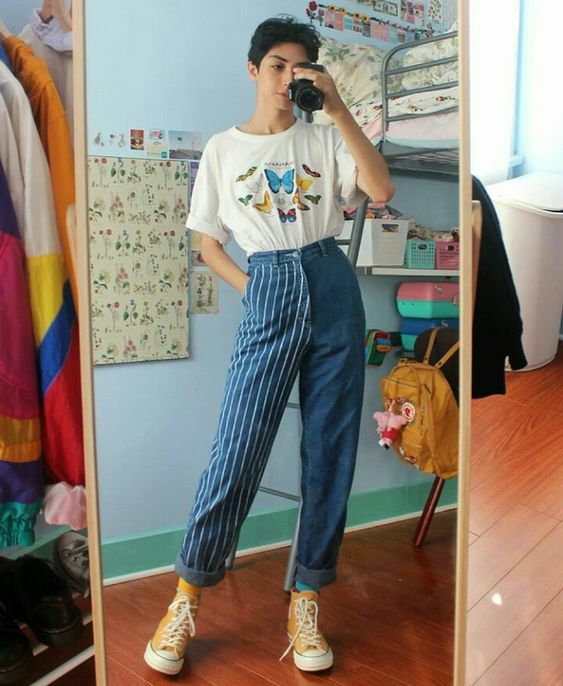 We are obsessed with Instagram cutie @celestialyouth and his knockdown 80’s style. Shop on-point vintage finds at his online shop on DePop. Ah, to be young again. Every Spring we jump back on the all-white bandwagon. 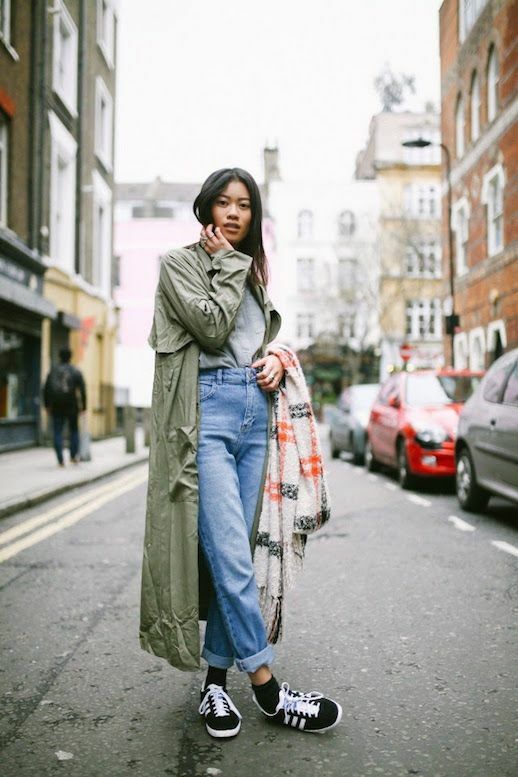 To pull tomboy fashion off, keep your pant legs loose and give your hips all the room they want. Denim pants with pleated waists that fit snugly around your middle are replacing skinny jeans worldwide. (In fact, ditch those cigarette pants, stat.) Tuck in an oversized graphic tee and ride off into the sunset. If you’re hitting thrift stores, be sure to visit the kid’s section for the best finds. 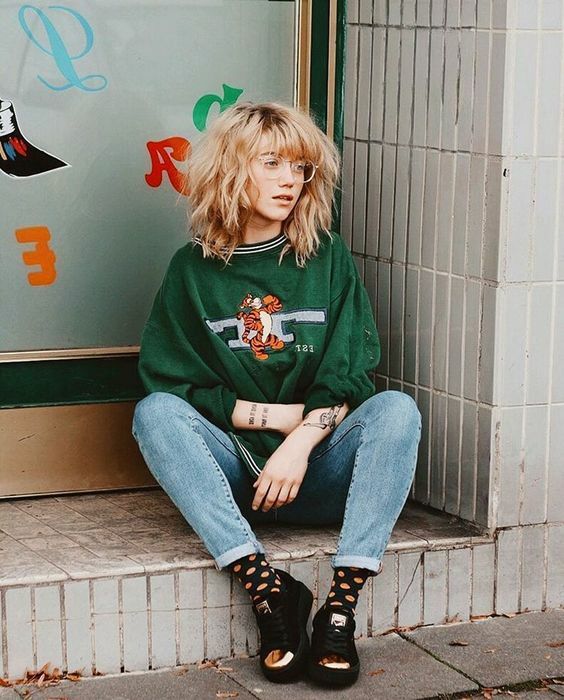 Older boys’ sweatshirts and tees have the best boxy shapes and fit bigger girls perfect. The sleeves are a little shorter and the primary colors are perfect. Add retro-inspired mom denim and roll up the hems so your quicky crew socks get some time to shine. When shopping for 90s denim, look for brands like and Tommy Hilfiger and Girbaud. Vintage denim with a high waist and plenty of room in the hips are tomboy fashion essentials. Go ahead and tuck your shirt in to accentuate the waist. The goal is to wear boyish clothes without losing your girlish figure. Layer the look with full-length coats and accessorize with this season’s top handle purses. Now that the weather is warm, those structured layers can go back into storage and shorts and tees can start having some air time. 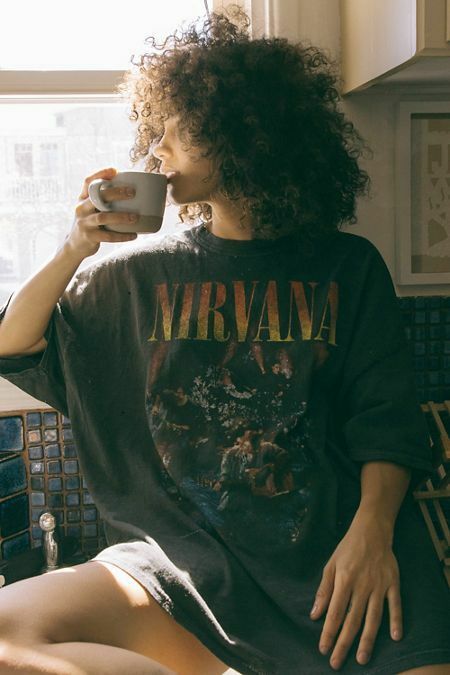 Complete your tomboy fashion extravaganza with graphic tees from your favorite 90s grunge bands. Urban Outfitters always has the best graphic tees hands-down. Whether you’re into preppy chic, feminine details, or hip-hop fashion, they’ve got you covered. In the day of feminism, girl power, girl boss, whatever – boys should never get lost in the mix. A little tomboy fashion evens the playing field without overstepping. There should always be a balance between masculine and feminine in the world. Look for the best in boys and give them plenty of leeway while you raid their wardrobes unabashedly.